So you want to start eating clean. Remember all those years ago when you were a teenager and all the grown ups said they envied you because you could eat whatever you wanted and not have it affect you? Well fast forward a couple years, the sand glass is running out and you’re probably starting to realize you can’t eat the way you used to anymore either. You’ve lost that spring in your step, you’re constantly tired, or sluggish, your allergies seem to be getting worse every season, bloating after a meal is a common nuisance, you’re not satisfied with your body as much as you’d like, and your skin is showing signs of gulp AGING! What is HAPPENING?! Years of bad eating habits is what is happening. For me, college happened. Late nights spent guzzling down energy drinks and cups of coffee, 4th meals at Taco Bell, eating out more than cooking in, tailgating every weekend during football season, and way too much ramen. There’s a lot of different detox cleanses out there, but unless your liver and kidney are in really poor health, detoxes aren’t necessary. All a ‘detox’ is, is an elimination diet — swapping the bad out for the good. What about juice cleanses?…Not necessary because of all the fiber you’ll be missing in your diet. I’m always weary of drastic diets that call for you to restrict yourself or your caloric intake to such extremes. During my elimination diet, I ate whole foods in their natural state, juiced in between meals, and I ate often. How long does a detox take? ‘Detox cleanses’ are meant to be short term about 7 to 21 days. Since mine was an allergy elimination diet, I did mine for 60 days. I also have an autoimmune disease, so naturally it took longer for my immune system to calm down. I don’t expect anyone should have the need to go for as long as I did. So good news for you is 3 weeks max should get you to optimal level. Should you do a 7, 14, or 21 day detox? Well that really is up to you and how much you think you can handle. You’ll certainly see results in 1 week, but some of my best results came in week 3, so stick it out if you can. That being said, after the detox you’ll have to make some long-term adjustments to your eating habits to keep you still firing on all cylinders. Some foods excluded during the detox can be introduced back in moderation, but some should really just be avoided. I’ll go into long-term maintenance in another post. Let’s just focus on getting started! Take a symptom survey to see where you’re at. My starting score was 84(abnormally high) and I’m finally down to a 12! Working on getting that sucker down even further into the single digits. Half the work of going on a elimination diet is taken out if you plan correctly. Make a grocery list for the week, map out your meals and shop accordingly. I used a food journal to document what I ate, when I ate it, and any symptoms I was feeling. Document symptoms like the ones listed in the symptom survey in Step 1, even if you think they are irrelevant. It’ll come in handy in the future if certain symptoms persist, you can know which foods have triggered it and it can be eliminated. You can also log your food on your phone with apps like MyFitnessPal, but I found it easier to just log my meals in the notes app of my phone and then transfer them to paper when I got home. Step 3: Get a good blender for juicing and smoothies. It’ll make your life so much easier especially if you’re on the go and want to forgo the fork. A good one out on the market that’s in the middle price range is the Ninja for around $90. The Magic Bullet will get you by if you’re really on a budget. I use both for different kinds of recipes (posts coming soon). This is just a short list of the basics to help keep it simple. There are numerous alternatives to non-dairy butter, gluten-free pastas, organic sauces, and dressings that you can substitute. *Corn and Soy are common food allergens, which sometimes can go undiagnosed. Although you may not have a known allergy to them, similar to sugars, dairy, and certain grains, they are foods that are harder for the body to digest. For the sake of helping your body reset for these short 7 to 21 days, it’s best to just avoid these two foods for now and introduce them back in after the elimination to see if you notice any changes. Step 5: Start reading labels. I’ll make it easy for you. Stick to the outer perimeters of the grocery store when shopping. This is where they sell all the produce, and meats. The middle aisles are full of boxed processed foods. Buying frozen vegetables and fruits are completely ok. You can buy your allowed grains and nuts in the bulk section of the health foods store or in packages in the organic sections. If you’re an avid coffee drinker, try to gradually phase out the coffee to one cup a day the week before you go cold turkey. After the detox you’ll find you have enough energy that you won’t need it anymore. I know shocking. There may be times where you’ll start to feel worse than you feel better. This is usually a result of candida die-off. Your body is trying to reprogram itself for the lack of sugar it’s used to getting. Drink plenty of water to flush out your system and power through it. Be wary of bottled fruit juices, they are loaded in added sugars unless otherwise stated. But of course if you’re juicing at home this won’t be an issue. If you’re out and want to grab a smoothie from a shop make sure you ask them not to add the liquid sugar, this includes Splenda or turbinado. Add some plant-based protein powder to your shakes to keep you full. Eat three meals a day, juice in between meals and snack often. You can’t go wrong with nuts or berries. My ‘detox’ journey has literally given me my life back. I’m not achy, I have energy, more mental clarity, my allergies, eczema, and asthma have disappeared and so I can only imagine for those of you who don’t have the issues I had how much more this can benefit you. Remember this cleanse is only for a short time to help you jump-start living and feeling great. A lot of the changes I’ve made going forward now don’t seem like much of a sacrifice because honestly I feel too good to not feel bad anymore. So my advice to you is, go into this with a positive attitude. You can do it! 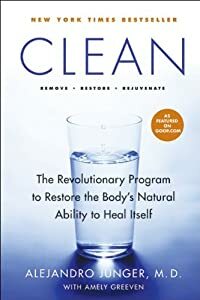 Clean: The Revolutionary Program to Restore the Body’s Natural Ability to Heal Itself. By Alejandro Junger, M.D. Good for you! And yea certain grains and legumes cause me the same issues, but you’re not alone :) Good hearing from you by the way! Hey dear, hope you’re doing well. I’ve got a question regarding your detox – did your skin break out at first? I’m assuming it has to do with purging toxins, but I wanted to see if you experienced the same thing. Well only time I broke out was in the form of eczema but that was because I ate something I was allergic to. The moment I was able to pin point what caused it, I cut out the food and my skin would be fine. I’m assuming you’re breaking out in pimples/acne? I will say though my skin got ‘shinier’ on the detox so yes you can experience oilier skin but like you stated, you’re ridding yourself of toxins:) Just monitor what you’re eating if it gets worse, but you should be fine. Congratulations on accomplishing your goal and for feeling better! I was only slightly privy to the struggles you faced along the way, but admire your determination. Nutrition is no longer the future, it is the present and I’m glad to see people adopting healthier lifestyles. 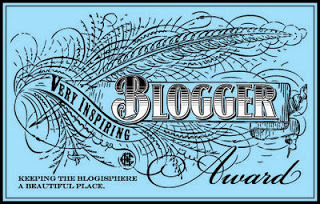 Keep up the great work and keep blogging for us!! 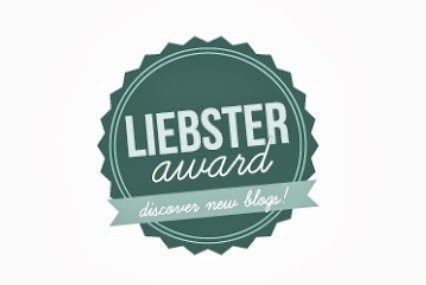 awesome post, and nice site! i’ve been wanting to try a detox, but like most things in life, i just have not took the time to get around to it!…..so i’ll be keeping an eye out for future posts/advice/motivation! Thanks for the comment Alison:) Start whenever you feel mentally ready, definitely don’t jump into it if the timing isn’t right.